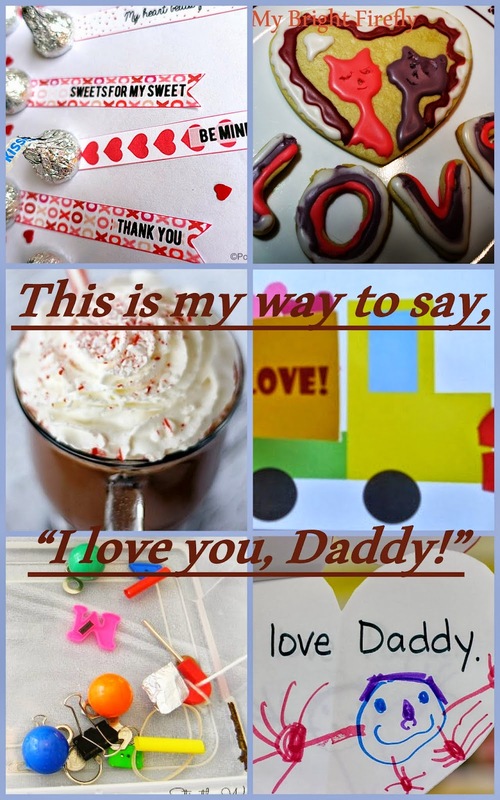 My Bright Firefly: 10 Fun Ways to Say "I Love You, Daddy!" 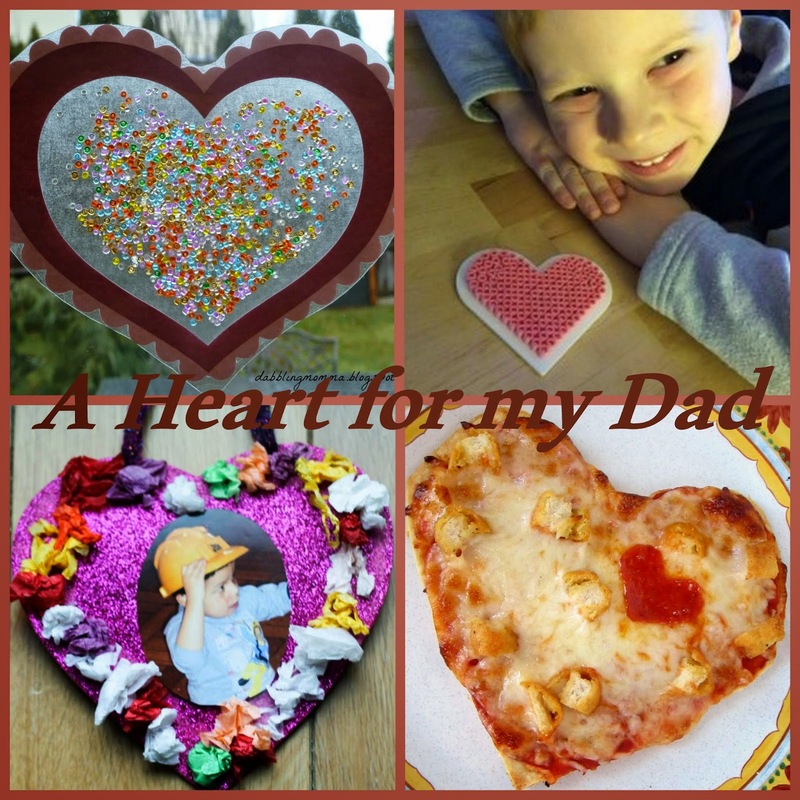 I tried to find some awesome Valentine's ideas for the best Dads. Will he like some funny cookies and hot chocolate made by kids? Or, perhaps, a heart-shaped pizza? Kids can make a fun truck Valentine's card or a heart made from beads. Some little surprises for Dad could be nice, or maybe a "Love Book"? How about some fishing indoors if he loves fishing? 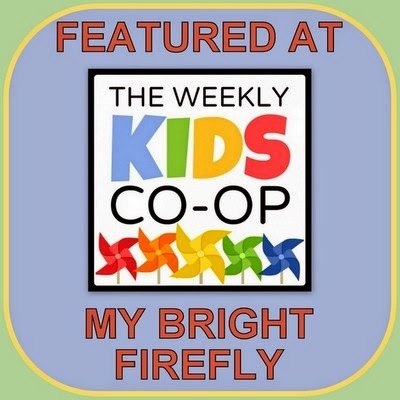 You can also find last week's Kids Co-Op here: Winter Sensory Bins and Montessori Trays. Kisses & Love Notes - little surprises with free printables from Powerful Mothering. Fun Valentine's Cookies from My Bright Firefly. 7 Delicious Hot Chocolate Recipes from Rediscovered Families. Truck Valentine's Card with a free printable template from Sand In My Toes. Fishing with Magnets from Stir the Wonder. "I Love" Book Making from Fun-A-Day. Confetti, Beads, and Button Hearts to put on the window in Daddy's office from Dabblingmomma. Beautiful Hama Beads Heart from The Sensory Seeker. Scrunched Tissue Paper Valentine's Heart from In The Playroom. Yummy Pizza Heart from B-Inspired Mama.